BATON ROUGE — Dynasty Williams of Baker High School built a point total at the Louisiana High School State 3A Track & Field Championships that made her look like a dynasty. Ironically, Dynasty didn’t win a single race. However, her three 2nd Place finishes were sufficient to push Baker into 6th Place in the overall team championships. 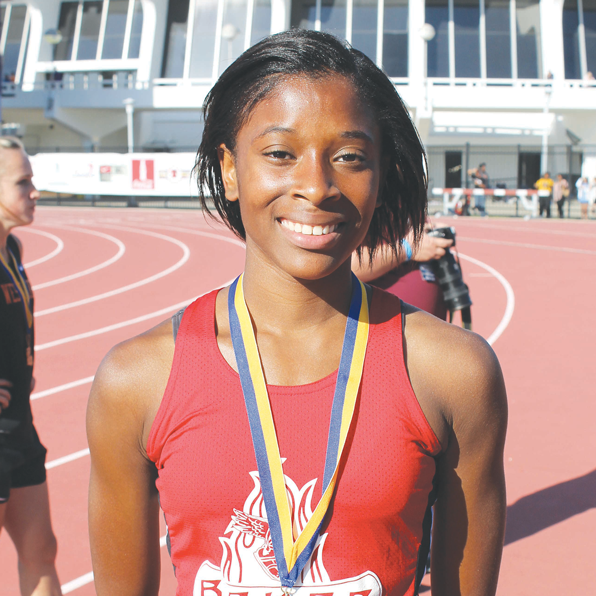 She alone produced more points that 80 percent of the teams that competed in the state meet. Dynasty Williams won 2nd Place in the 800-meter run at 2:28.11. She won 2nd Place in the 1,600-meter run at 5:27.86. Finally, she won 2nd Place in 3,200-meter run at 12:02.69.